Contributing to the achievement are on-site photovoltaic solar panels using advanced energy metering to power to the building and absorb the heat and noise from the adjacent freeway, an extensive storm-water retention and filtration system, recycled denim insulation, extensive LED SMART lighting design, ample natural light and a rooftop butterfly garden that is home to migrating Monarch butterflies. As a firm believer that children learn better and understand on a deeper level when they see, smell, touch, and experience their lessons, practicing what you preach is important at the Crossroads School for Arts and Sciences. Intentionally designed to celebrate the beauty in science, and the science behind art, the building itself is a visual teaching tool and artistic showcase. 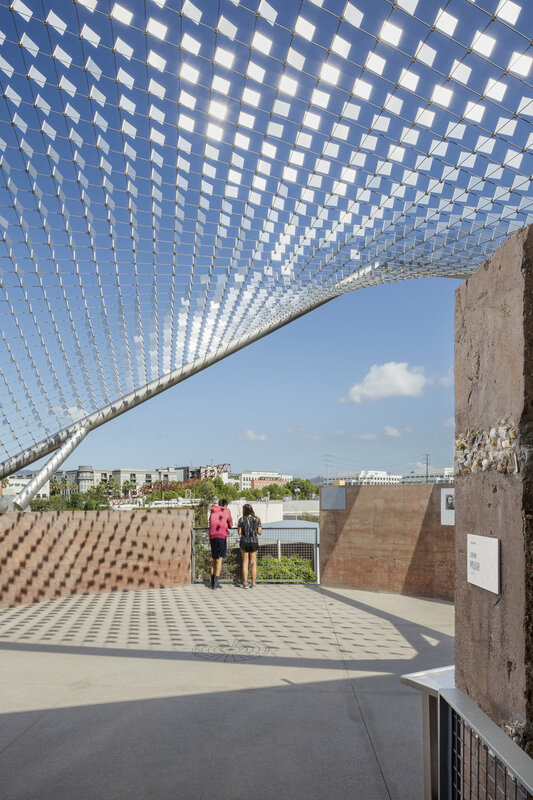 The pavilion roof installation by environmental artist Ned Kahn provides a glimpse of unseen phenomena - showcasing hidden wind/gravity interplay. 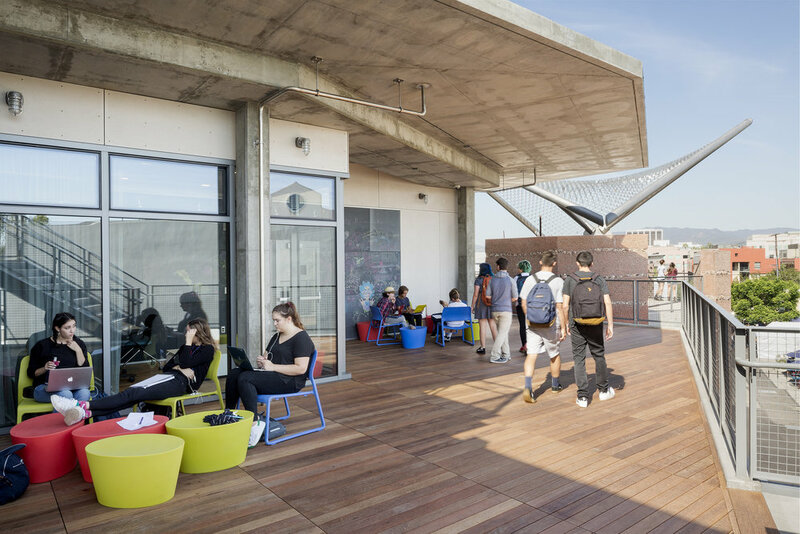 Exposed concrete, open building systems, and visible sustainability initiatives transform the structure into a habitable physics project. 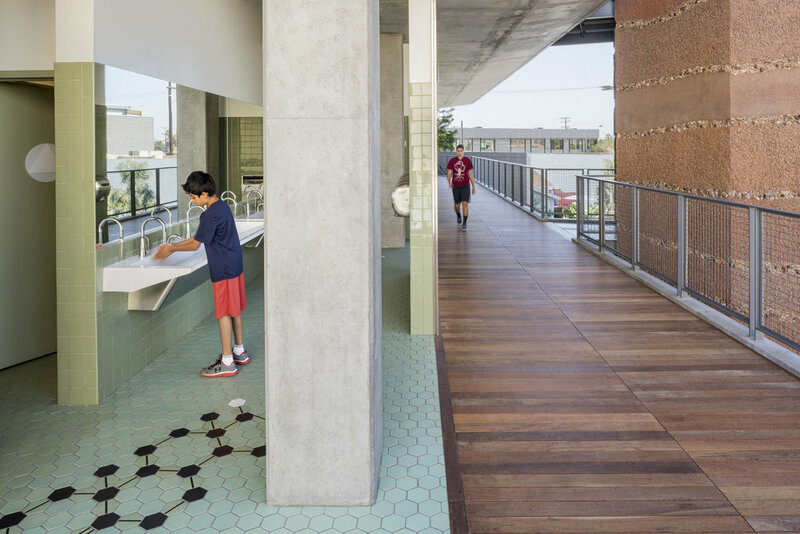 Large storefront windows create “living artwork” of the interior classroom and the exterior “Alley,” an all-school central plaza and gender-neutral restrooms with ceramic tiles patterned with the human molecular structure reflect the school’s liberal viewpoints. 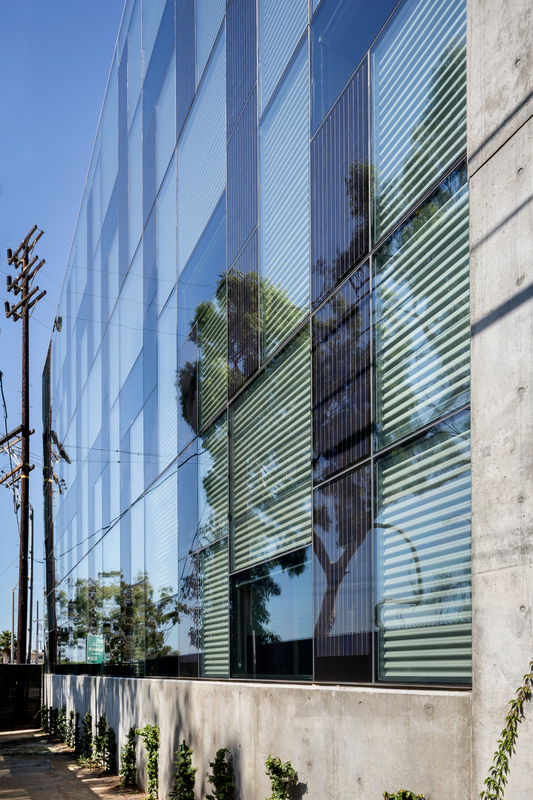 For more information on Crossroads’ recent LEED Gold achievement, visit the Center for Green Schools’ website. For more information about the Crossroads’ building and site, visit the FF&P website.